Book lovers rejoice! 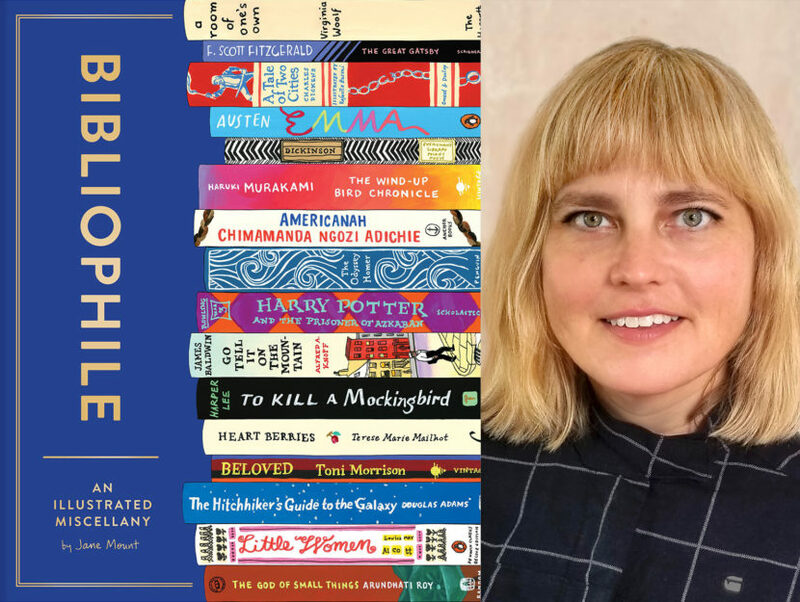 Jane Mount’s newest, Bibliophile, is a love letter to all things bookish, and brings literary people, places, and things to life through Jane’s signature, vibrant illustrations. Whether she’s touring the world’s most beautiful bookstores, testing our knowledge of the written word with quizzes, finding a next great read through lovingly curated stacks, or peeking inside the workspaces of our favorite authors, Bibliophile is a source of endless inspiration, literary facts and recommendations, and bookish joy. 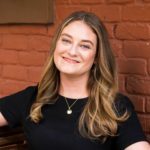 Recently, Jane spoke with Read It Forward’s Abbe Wright, expanding on her intersecting love of illustration and literature, the pleasures of growing up a latchkey kid, and how she chooses the titles she illustrates. Read It Forward: I have to say I have been obsessed with your art for a really long time. You have a site called Ideal Bookshelf, but tell us how you started drawing books. Jane Mount: In my previous life, I actually did a lot of internet stuff, and I eventually wanted to get back to drawing. I had done a lot of large figurative work in the past, and I had a big studio. I actually lost my studio space because the landlord sold the building, and my husband and I at the time had just bought a tiny Manhattan apartment. RIF: I know what that’s like. JM: I didn’t have any extra money to spend on a studio, anyway. I had to re-learn to draw small at the dining room table because that’s all I’ve got. I was sitting at the table one day with, oh my gosh, blank paper. We had some built-in bookshelves right next to the table, and I thought, “Well, I love books. They’re nice colors. Let me just draw some of these books and we’ll see, just to make the paper not white.” I did a few sets of books and a friend of my husband’s happened to be by, and he said, “I want to buy all four of those right now. I want to give them to my wife for her birthday. They’re amazing.” I’ve never had anyone react so viscerally to a piece of art I’ve made before. People get emotional about a song, but to immediately want to own something I’d made, that was a new feeling. RIF: Right. Like, what is this? JM: Yeah, exactly. So, I did that a little while longer. But maybe a year and a half into it, I thought it’d be more interesting for me if I ask them what books changed their lives, the most important ones, the ones they feel they couldn’t live without. I started doing that with a few friends, and it was fascinating and that grew and grew. After a while, I had a show here or there, and started putting prints on Etsy and on Ideal Bookshelf. People started commissioning me to paint their loved one’s favorite books. The best part is they have to go and figure out what those books are. It’s really this very intimate thing where they secretly try to find out what the books are without telling the person why. And then I paint them and so many times, I’ve gotten the most amazing e-mails afterward. Somebody writes and says they had happy tears, and it was the best present ever given to them, and thank you. It’s such a great feeling to be able to help someone give a gift to someone that feels life-changing, feels like it sums them up. It makes them feel closer. RIF: Totally. Have you always been a book lover? JM: Yeah, for sure. I was definitely one of those dorky kids with no friends in elementary school, glasses, braces, chubby, you know. So, books were certainly my best friends. I would go home after school and go in my room. Don’t get me wrong, I was thrilled to be a latchkey kid. I could go home and read and I was very excited to be by myself with a book, and I was always also somebody who drew things. It’s great to be able to put two things together. RIF: You have a lot of different ways that you play with art and books. You’ve illustrated some awesome libraries, and some independent bookstores from around the country and the world. How did you come up with all of the ephemera in this book? JM: The first book, My Ideal Bookshelf, was asking different creative people what were the books that made them who they are. That was really an interesting project, and I very much enjoyed it. The feedback I got from people afterward who liked the book said, “oh, this is great. I used it to add to my TBR pile–to be read pile–so many things.” And I thought, “That’s how they use it? That’s funny.” For this book, really what I wanted to do was make a book that would triple the size of your TBR pile, so you would find lots of different ways to find new books that would change your life potentially. I think of people like librarians and booksellers in independent bookstores as spirit guides to new worlds, basically. What I was trying to do with Bibliophile is give you all kinds of little magic doorways to different new worlds, so you could find them through your local bookstore, or through the fact that there’s a really cute cat at the local bookstore. Or, through a really beautiful library that’s an architectural wonder, as well as a place that holds books. RIF: I love how you’ve got books for foodies and sci-fi, so if you don’t know what you’re looking for, you can find these overarching genres. JM: Yes. Definitely, there are books in one stack that could certainly be in another, and a lot of different overlap. I tried to make it so there were different ways you could come at things and still find books that really fit you. RIF: What can you tell about a person by looking at their bookshelves? If you’re dating someone new, or when you’re sketching books at a dinner party, what can you learn? JM: It’s an interesting question, because there are people who are very particular about their bookshelves and then there are people who are very particular about their books. I hope not to offend anyone, but I can’t imagine organizing my books by color. I can’t see the world that way. I love colors. I love rainbows. But I want my books to be organized by the content inside as opposed to the spine. I also think some people definitely arrange bookshelves by what they want you to see as opposed to what they’re really reading. Lots of people don’t even have the books they read on their bookshelves anymore. They’re in some sort of e-book reader and things like that. So, I must admit I’m not sure what you can tell by people’s shelves anymore. Unless they look particularly arranged, and then, you know, that’s what they want you to think of them. RIF: Right. I’m the only librarian who could sort out my system. I’ve grouped together some books, like a New York shelf. So, there is a guidebook about New York, but then also a bunch of thrillers set in New York. JM: That’s almost exactly how I would do mine. And you keep getting more books, and then they just start getting in stacks and they’re organized by size, so they don’t fall over. RIF: Exactly. So, if you’re painting A Room of One’s Own, and there are, let’s say, easily 50 editions. How do you choose which one you paint? JM: There’s lots of different answers to that. Obviously, I love beautiful spines and I have gotten pretty good at hunting them down online. It turns out eBay is the greatest resource ever for book spines, because people want to show you what they’re trying to sell, especially an old beautiful edition. They’ll take pictures, not just of the cover, but also of the spine to show you if it’s damaged or not. So, that’s great for me. JM: A-Books is another online antique bookseller that is a really good resource for spine pictures. When I first started, this was really hard to find stuff, and I would just go to Barnes and Noble where I could take pictures all down the aisles over and over. But generally, when I want to find a really good version, I’ll look online until I find a beautiful copy. With Virginia Woolf, for instance, when she and her husband published theirs through their own Hogarth Press, her sister designed and painted a lot of the cover images. So, I usually go to those first editions because they are usually the most particularly fitting. RIF: They kept it in the family. I was recently at a used book sale in Connecticut, and it was interesting how beautiful covers are relatively recent. You know, it used to just be the name of the book on the spine and a blank cover on the front. JM: One thing I learned when making this book is how dust jackets didn’t exist for a long time. When they first started making them, it literally was just a piece of paper around the book to protect the book itself, and there was nothing printed on it. At some point, somebody had the brilliant idea, “oh, we could use this for marketing!” and they started putting at least the title and author on the cover. And I feel like it was right around the turn of the century, they started having illustrators draw pictures to go on the cover as well. That changed everything. RIF: Totally. What books would you put together in your ideal bookshelf, Jane? JM: You know, I’ve been asked this many times. Even though I have been painting people’s ideal bookshelves for about 10 years now, I still have not officially made my own, because it is torture. It’s very hard to choose. But I do certainly know some books that would be on it. I would definitely put Cloud Atlas by David Mitchell, Americanah by Chimamanda Ngozi Adichie, The Fifth Season by N. K. Jemisin, and American Gods by Neil Gaiman. There’s plenty of others. 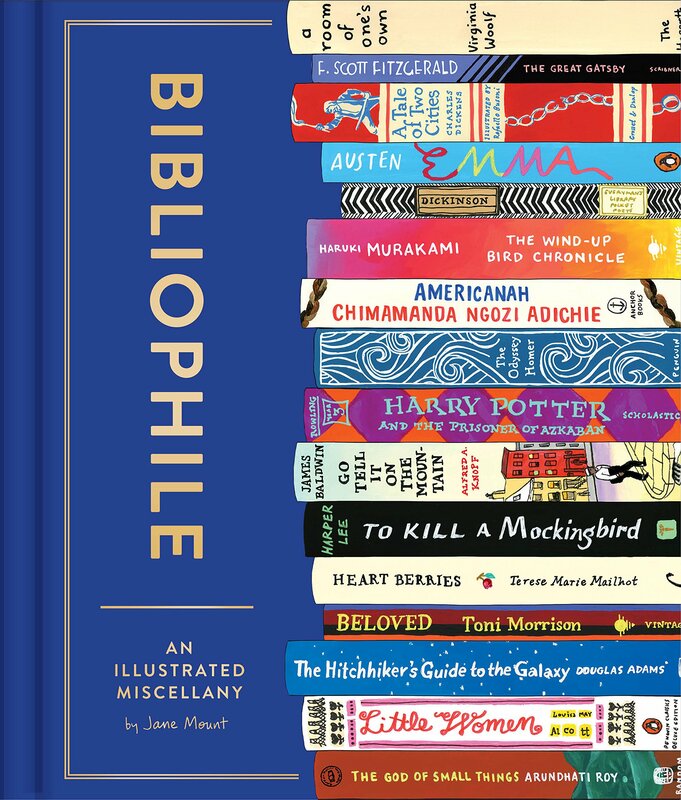 RIF: Some of those books you mentioned are actually on the cover of Bibliophile. JM: You know, I do play favorites in my art. What can I say? RIF: Your advice about not getting tripped up in genre is really important. I have to admit, I used to say I’m not really a big sci-fi person. But we started talking earlier about The Book of Strange New Things by Michel Faber, which I would have never picked up given its sci-fi label. It was one of the most moving and incredible books I’ve ever read. JM: In a way, I wouldn’t think of it as sci-fi. I mean, it is, but it isn’t. RIF: If I had just limited myself to what I felt safe with, I would have never had this amazing experience with this book in this world. JM: When I was making the book, feeling like I needed to divide books into genres otherwise it would be a giant pile of books inside a book, I had very mixed feelings back and forth. Should I even put this in this pile, because it might turn some people off? I just want to encourage everyone to read outside the genres you think you like. Don’t be scared of the ones that sound like not your thing, because they might turn out to be exactly what you need.